In middle age, Anna Oh-wife, mother, outsider artist-has shaken her family to its core. After twenty-seven years of marriage and three children, Anna has fallen in love with Vivica, the wealthy, cultured, confident Manhattan art dealer who orchestrated her professional success. Anna and Viveca plan to wed in the Oh family's hometown of Three Rivers in Connecticut, where gay marriage has recently been legalized. But the impending wedding provokes some very mixed reactions and opens a Pandora's Box of toxic secrets-dark and painful truths that have festered below the surface of the Ohs' lives. We Are Water is an intricate and layered portrait of marriage, family, and the inexorable need for understanding and connection, told in the alternating voices of the Ohs-nonconformist Annie; her ex-husband, Orion, a psychologist; Ariane, the do-gooder daughter, and her twin, Andrew, the rebellious only son; and free-spirited Marissa, the youngest Oh. Set in New England and New York during the first years of the Obama presidency, it is also a portrait of modern America, exploring issues of class, changing social mores, the legacy of racial violence, and the nature of creativity and art. As you can see, this one is just as long and sprawling as his others. We get the story from multiple points of view, which I always enjoy. Lamb does a great job of creating unique voices for each of the characters who narrate. I really appreciate when an author is able to do multiple points of view in a way that gives a distinct voice to each narrator. In this book you can tell who is narrating clearly, even without having the chapters titled. As always, I thoroughly respect Lamb's ability to weave the plot pieces together. He doesn't lose track of plot threads and there are consistent moments throughout the story when you realize exactly what he's been doing all along. I love those moments. The pacing in this one was spot on for me. It's not a thriller, it doesn't race, but it's also not plodding. It's exactly what you'd expect from a family drama. And, as in real life, it's the small moments in the family's interactions with each other that are most important, rather than shocking or dramatic happenings (although those also abound). It's a long book and not action packed, but it kept me interested and wanting to read more. 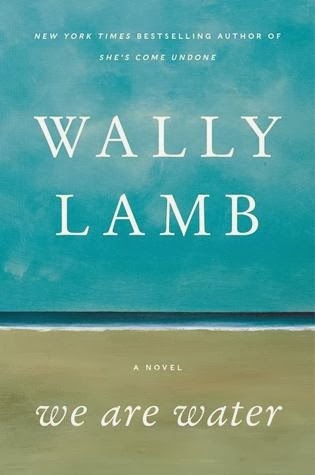 I definitely recommend reading this if you're a fan of family dramas or of Lamb's other books. It definitely succeeded for me, although it may not be the ideal book for someone looking for lots of action. Thank you to TLC for providing me with a copy to review. Click here for links to the rest of the blogs on the tour. 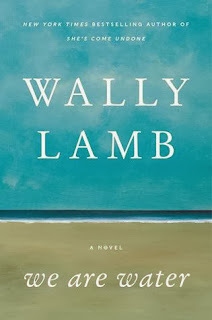 This is such a true statement: "And, as in real life, it's the small moments in the family's interactions with each other that are most important..." That's why I love Lamb's books. He really seems to get that.